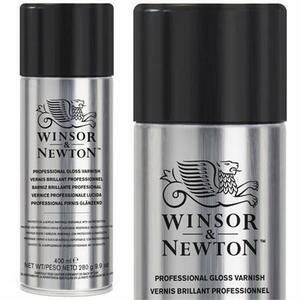 Winsor & Newton Professional Gloss Varnish is a spray varnish. It gives a clear, permanent coat of varnish, which will protect your finished craftwork from dust and moisture. It has a gloss finish and can be used to varnish a variety of surfaces such as wood, metal, paper & modelling materials. 25 - 30cm away (10 -12"). Please note that this is a non removable varnish and is not suitable for fine arts (oil & acrylic paintings, etc). Available in a 400ml can.